Qualifications for an FHA loan also take into consideration the borrower and the co-borrowers debt-to-income (DTI) ratio. There are specific requirements with regards to debt-to-income-ratios to help protect the buyer from being approved for a loan they cannot truly afford. If you recall the real estate bubble we endured around 2006 – 2008, much of the result of that was accredited to lenders funding loans that buyers genuinely did not qualify for. In today’s mortgage lending environment, there are checks and balances in place to avoid this from happening again. The debt-to-income (DTI) ratio is a way for lenders to measure a borrower’s ability to manage monthly payments and repay debts. The debt ratio paints a clear picture of whether borrowers are in a financial position to purchase a home and the associated living costs that comes with it. The debt-to-income ratio is an FHA loan requirement that considers these two factors. The first ratio is the mortgage payment expense compared to the effective income. With this ratio, you take the proposed mortgage monthly payment and divide it by the buyer’s gross income. The second ratio is the total of all debts, installment and revolving accounts, combined with the proposed housing payment versus the borrower’s effective income. For this equation take your monthly mortgage payment, add all your debts and divide it by the gross monthly income. The current debt-to-income ratios for an FHA loan is 31/43, meaning for housing-related debt, the borrower’s income cannot exceed 31% of their gross income. For the total debt including the proposed housing expense, the maximum ratio should be 43% of the borrower’s gross income. However, the back-end ratio can be as high as 50% for some borrowers, especially those with excellent credit. The back-end ratio can go higher than 55% with “compensating factors.” Some lenders may even go as high as 57% ratio if several compensating factors may help the lender decide to extend the loan or not. Every lender uses different criteria in qualifying borrowers based on debt-to-income ratios. The FHA guideline for back-end ratio is at 43%; some lenders can go as high as 55%. TexasFHA.org offers a home loan with a back-end ratio requirement of up to 57% with compensating factors. This allows a borrower to purchase a slightly higher priced home. Credit, Income, and Asset constitute a mortgage loan; all three must be present. If one of these factors is below par, the other two may compensate for the lack thereof. Several factors may compensate when one factor is lacking. 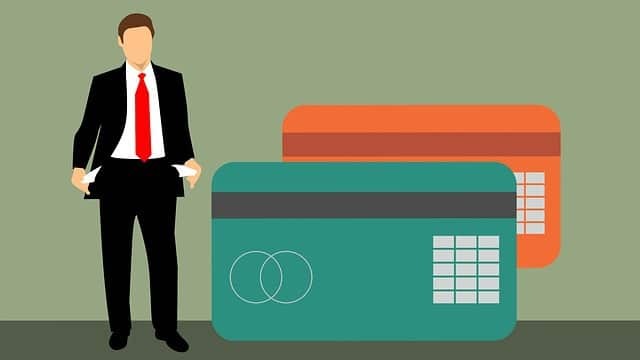 Generally, if a borrower’s credit score is at 580 and the file is not getting approval from the Automated Underwriting System (AUS), a higher down payment or lower loan-to-value (LTV) may help. Conversely, having additional income, thus, lowering your DTI may help generate an automated approval. In short, a higher down payment or a lower DTI ratio may compensate for the lack of credit. Specific guidelines and requirements can be obtained by contacting our FHA Home Loan Specialist at 346-297-0516.